We introduce ourselves as an eminent manufacturer, exporter and supplier of the best quality range of Wood Hacksaw. Our provided wood hacksaw is well designed with advance techniques using well-tested material in total compliance with set industry norms. We are offering Hacksaw is available in various capacities. These are according to the client demand.Manufactured as per the industry standards, these are appreciated for their efficiency, fine cutting and long lasting trouble free service. TheseHacksaw are appreciated by large number of clients. These are available in market at competitive rates. 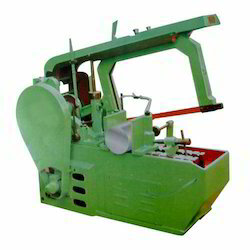 Our metal cutting hacksaw machines, whether they are Hydraulic Hacksaw machines or Mechanical Hacksaw machines are all very sturdy and robust. They come in various sizes. We are a unique name in the industry to manufacture and export our prestigious clients an exclusive range of Junior Hacksaw. - Hacksaw is used for cutting materials, and for cutting away waste parts of the work. Keeping in mind ever-evolving requirements of our respected clients, we are offering a premium quality array of Hydraulic Hacksaw Machine. 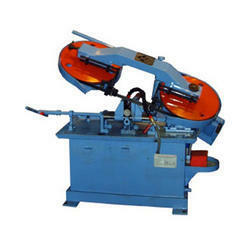 We are one of the trusted names in the Indian Engineering Sector, when it comes to high performing Power Hacksaw Machine. Designed using the latest technology and anti-abrasive spares, our Power Hacksaw Machine has helped us to carve niche in markets in different parts of the country. Preferred by our clients for free loaded running, energy efficient nature and guaranteed output. This range includes Junior Hacksaw, Wooden Saw, Adjustable Handy Hacksaw, Tubular Hacksaw & Hacksaw Frame. These tools are used by both Industrial & DIY segments. That’s why they are called Industrial Tools & DIY Tools.